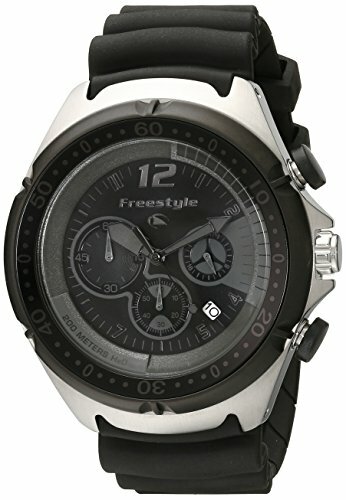 A trendy timepiece from Freestyle. Designed with seven-hand movement with chronograph, screw down crown, luminous hands, one-way ratcheted timing bezel, and a durable polyurethane strap. It also comes with a 50 mm stainless steel case.